It's been a little over five months since we published our roundup of Revit 2019 Product Enhancements from Autodesk and several add-ins remain with release dates to be determined. To try to determine their status, we thought it'd be a good time to take a deeper look at these add-ins. First up: Autodesk Enhanced DWG Exporter for Revit. This add-in is one of the offerings on the Autodesk BIM Interoperability Tools website. The other add-ins on the site were developed, in partnership with Autodesk, by CADD Microsystems. This one, however, was developed, apparently, by a different 3rd party. We've been unable to identify an ETA for the 2019 version, though it should be forthcoming. P&ID Modeler for Revit has apparently been discontinued. According to this Autodesk Knowledge Network post, "At this time, P&ID Modeler for Revit... enabled in BIM 360 Team will not be migrated to the new BIM 360 platform. Autodesk recommends that our customers not expand their use of P&ID Modeler for Revit. "AutoCAD and AutoCAD verticals, including Plant 3D, will be integrated with BIM 360 Docs via the Autodesk Desktop Connector with deeper integrations planned and to be announced as they become available." 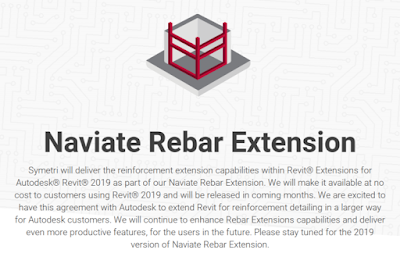 The development of Revit Extensions for Autodesk Revit, a structural-centric suite of tools, has very recently been handed off to a company named Symetri, makers of the Naviate products. The 2019 release is expected this winter, though the following seems to be the only information about it on their site at the moment. 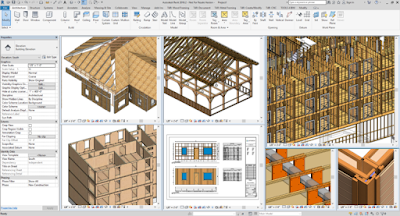 Updated: September 20, 2018 – Further details about Revit Extensions for Autodesk Revit emerged yesterday, making it clear that the add-in has been discontinued, that some aspects of it have been handed off to certain technology partners, and that the tech partners' add-ins incorporating the functionality will be offered for free to Revit 2019 users. From the Revit blog, in part: As of April 20, 2018, Autodesk will not deliver Revit® Extensions for Autodesk® Revit® 2019. 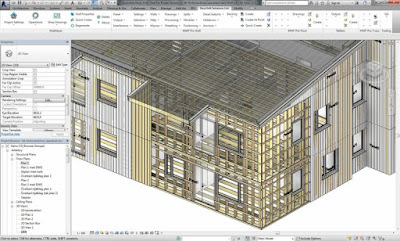 Instead, customers using the timber and reinforcement modeling extensions can easily migrate to alternative solutions delivered by technology partners. Today, many have adopted Revit for concrete planning and production and also in reinforcement detailing. A primary reason is the number of technology partners extending Revit as a platform for rebar design and detailing. These partners customize Revit for the local needs of their markets, bringing greater productivity gains to their customers. One such partner is Symetri, based in Northern Europe. 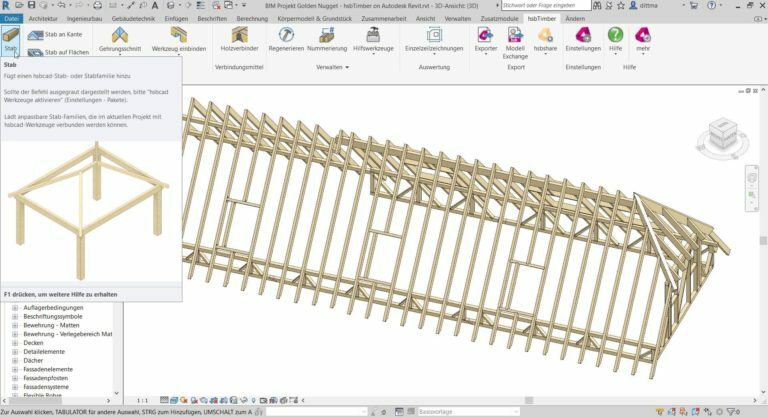 Symetri will deliver the reinforcement extension capabilities within Revit Extensions as part of their Naviate Rebar Extension. They will make it available at no cost to customers using Revit 2019 and it will be released in late 2018. As stated above, Autodesk will not deliver Revit Extensions for Revit 2019, and this includes the timber modeling extension. As a path forward for customers, we encourage users of this extension to adopt one of our AEC Industry Partner solutions that are based on Revit. 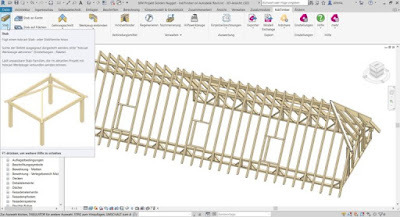 Partners hsbcad, AGACAD, and StrucSoft provide robust timber modeling apps for Revit that help structural engineers, architects, and detailers automate the design to detailing process for timber elements. Capabilities include integrated structural analysis, estimating, documentation, shop deliverables, and even exports to CAM/ERP systems. These partners will deliver free versions of their Revit apps to existing timber extension customers for Revit 2019. Click here to read the full post by Michael Gustafson. Lastly, according to this BIM and Beam blog post, the functionality previously available in the Steel Connections for Revit add-in has been rolled into Revit 2019 proper. We'll remove P&ID Modeler for Revit, Revit Extensions for Autodesk Revit and Steel Connections for Revit from our roundup, and we'll continue to keep an eye out for the Autodesk Enhanced DWG Exporter for Revit 2019, We'll of course let you know when it becomes available.